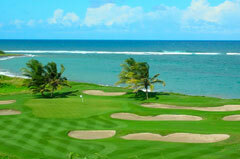 How would you like to play the golf courses on 3 – 4 small Caribbean Islands, all in one vacation? You can actually visit up to six beautiful islands and sample four different golf courses in a week without packing and moving hotel. Instead of being a hassle, the transport itself will be one of the main attractions of the vacation and any golf widow will love it! Of course you could fly from island to island, but getting up every other morning, packing your bags, waiting for hours at the airport, finally landing on another island, finding the hotel and trying to get your bearings…really isn’t very relaxing. Besides this, your spouse wants to learn to sail and scuba dive, get a good massage and you are on a special diet, which you don’t want to explain to a new chef every day. What you really need is a hotel that can move, bringing along your chef, scuba- and sail teachers or golf pro and that is what this is all about! The Caribbean is hosting a large fleet of crewed yachts where you can live in style and comfort, while your captain and chef doubling as water sports instructors – takes care of all the details. Bring your friends or family; there are activities for everybody. While you play 18 holes, the non-golfers can do all sorts of water sports, go sightseeing, be pampered at a spa or enjoy the luxury and fantastic service on board your yacht. At the end of the day – where everybody got to do what they wanted – you gather on the aft deck or fly-bridge, enjoying the sunset, while sampling the captain’s own version of “Planters Punch”. Over dinner you discus the events of the day and plan the next day’s adventures, while the chef bombard your taste buds with amazing delicacies. It just doesn’t get any better! 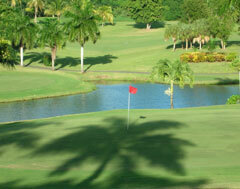 Start your vacation playing Cedar Valley and the Jolly Harbour golf courses in Antigua. Spend a day sailing to Nevis and try the fantastic course at the Four Season Resort and end your cruise battling the winds and 88 bunkers at the Royal St. Kitts Golf Club. Please take a look at a possible itinerary. 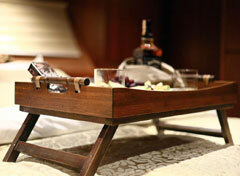 AMAZING CHARTERS also offers golf charters starting from St. Thomas where you can play the challenging Mahogany Run. Stop in St. John and spend a day sailing to St, Croix, where you can play the breathtaking courses of the Buccaneer and Carambola Golf Clubs. Another 4 – 6 hours sail brings you to the so-called Spanish Virgin Islands where you anchor at the island of Vieques. Another 3 hour sail lands you in Puerto Rico, which boasts some incredible courses. Puerto Rico, El Conquistador and others.